as innocent as it’s own judgement. would show a bloody mess if opened. and shelter what feeds me gain. hence I see both coloured and black. is your title for my poetry. when my deal is like yours, fully. you have a god, we call fate. one you feel, one I met. I am the beast on my gates. my chains, make me break. my demons, show my face. Such a touching poem from a young Tanzanian by the work of art that reveals the feeling though out the poem. I think, the devil is trying to say that he, just like me and you, did not choose to become what he is. that for good to exist, evil is necessary and thus, he, the devil, is necessary. 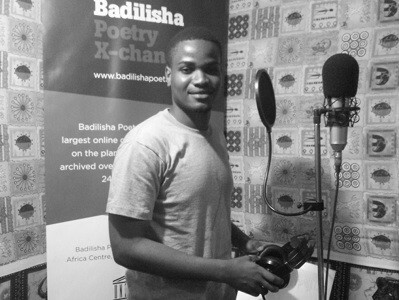 Vladmir Peter is a poet based in Dar es Salaaam Tanzania.